Derick delivers an exceptional lesson experience and ranks in the top 15% of our teachers nationwide. I have been teaching private lessons since 2008 and am currently available to teach lessons at my private home studio. I've helped students develop as solo pianists, prepare them for music theory exams, and have a greater appreciation for classical music. 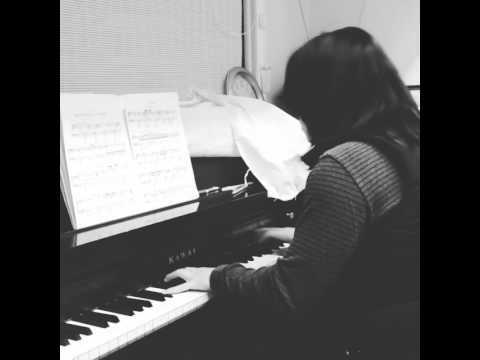 I have studied under 3 professional classically trained pianists, Helen Yip, Donna Kwong, and the wife of Yin Chengzong who have coached and mentored me, pushing my ability as a performance based solo pianist. A student under my tutelage will benefit with my ability to teach piano at all levels with an encouraging mindset. I understand there is a balance between working hard at developing a new skill and having fun with it too! I have a very Zen approach to teaching and am flexible with students. I look forward to setting short, smart and attainable goals to scaffold learning. Challenges are opportunities to grow from and I welcome those warmly who are open to learning a new craft. Most importantly I am passionate about music education and always want the best for my students! Whether you are a parent trying to introduce music to your child or an adult who has always been curious to learn, I just appreciate the opportunity to teach piano. I make it a priority to get to know my students outside of music education. I've had many experiences working with youth as a mentor during my service as AmeriCorps City Year member for the past 2 years, where I've built bonds with students and teammates and help them push for greater academic achievement. I have a very calm and patient personality, open to many personal view points. I seek to understand first, which aids me in my ability to teach piano with an open heart and open mind. Beginner students will be introduced to the basic foundation of music theory and piano structure as a way to lay the basic groundwork necessary to progress further in skill level. Intermediate level students will focus on developing finger dexterity techniques and play more challenging pieces. This will setup the student to be able to play more advanced works down the road. Advanced students will focus on technicality and bringing out the expressiveness of a piece, and understanding the complexities behind interpreting it with their own style. Curriculum will be based on a student's experience and exercise books/pieces will be assigned accordingly to the student's level of progression. For example: a Beginner student will start with the Alfred books and an Intermediate student will be guided towards working on finger dexterity by working with exercise books from the likes of Carl Czerny and Hanon. -Upright electric Yamaha Piano with pedal action. It has 88 keys and stands up well to any performance level. I've taught 20 students, ages 5 - 18 with an emphasis on classical music. I've prepped multiple students on their pieces they needed to play for their music theory exams. I focus mainly on a students technical capability and developing their finger dexterity. Wedding Pianist for weddings in NY. Services were provided during walk-ins, receptions, and ceremonies.